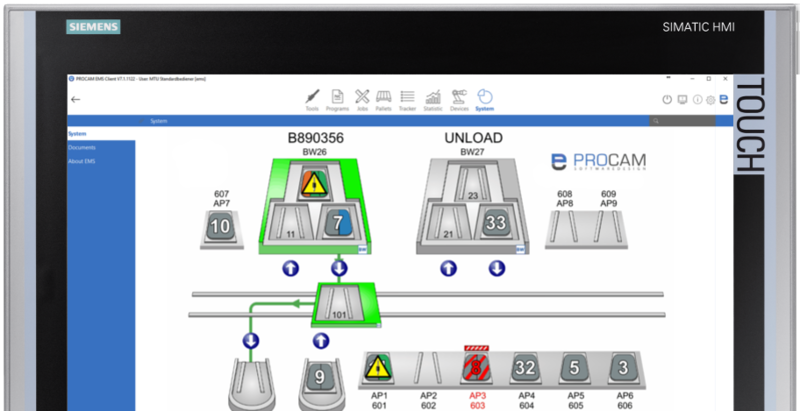 A powerful and user-friendly control technology, modernly designed and highly available: For more than three decades, PROCAM has been developing and distributing software solutions for flexible manufacturing systems, helping companies on a daily basis to achieve the highest productivity levels of their systems. Only through the use of modern and efficient control technology can the complex requirements for the production and, at the same time, the necessary savings be realized, in order to be competitive in today’s international market. PROCAM systems help you to capture, visualize and archive all your production information. Our software systems are modular. This ensures that our customers receive exactly the functions they need. No more and no less. Our software solutions are completely developed in PROCAM’s office in Berlin. This guarantees short distances and quick responses. From Berlin into the world. Our software systems are available in multiple languages. Our EMS control system is currently available in German, English, French, Finnish and Chinese. Other languages ​​will follow soon. Call us today and arrange a presentation date! 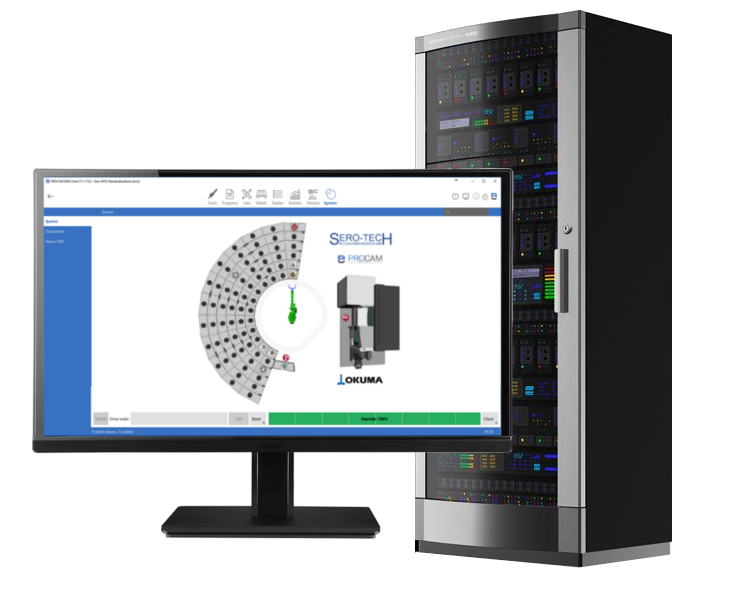 The modularly designed EMS software from PROCAM ensures a solution tailored to the customer’s needs, which can always be customized and adapted to the user. Are you interested in one of the PROCAM products or in collaborating with us? Do not hesitate to call or write an email. We are happy to help! I consent to having this website store my submitted information so they can respond to my inquiry. Detailed information can be found in our Data Protection policy page.